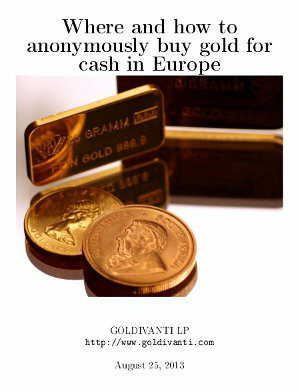 Where and how to buy anonymously gold for cash in Europe? is the Goldivanti® Info Pack or information package, paper brochure shipped directly to your address revealing the information on how to buy anonymosly gold for cash in Europe. No questions asked. Paper copy is shipped to your designated address anywhere in the world. 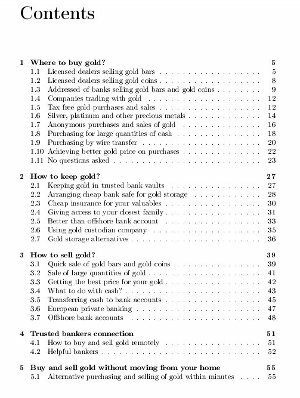 This information package relates to anonymous purchase and sale of gold bullion, gold bars and gold coins in the heart of Europe. For truly anonymous purchases you would be required to travel to the specified places. Your gold purchase is 100% legal and safe. Even though it may by fully anonymous. You may gain connection to trusted bankers which would purchase and sell gold on a phone call! Information is 100% verified and used by our clients since 2009.